We are delighted to have R "Ray" Wang an a contributing analyst in the areas of software and disruptive technologies. 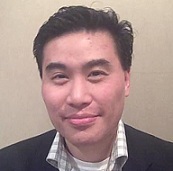 R “Ray” Wang's dynamic presentation style brings life and energy to technology and business topics such as business process transformation, next generation software, SaaS/Cloud solutions, social CRM, analytics, and ERP. He is the author of the popular enterprise software blog “A Software Insider’s Point of View.” With viewership in the millions of page views a year, his blog provides insight into how disruptive technologies and business models impact the CXO, enterprise apps strategy, and emerging business and technology trends. Ray is currently founder and principal analyst of his new research organization, Constellation Research, which serves the needs of buyers and end users who seek insight, guidance, and advice in dealing with a dizzying array of disruptive business models and technologies. Prior to Constellation, he was a founding partner for Enterprise Strategy at Altimeter Group. Prior career roles included VP and Principal Analyst at Forrester, where he was recognized in both 2008 and 2009 by the prestigious Institute of Industry Analyst Relations (IIAR) as the Analyst of the Year and in 2009 he was recognized as one of the most important analysts for Enterprise, SMB, and Software.